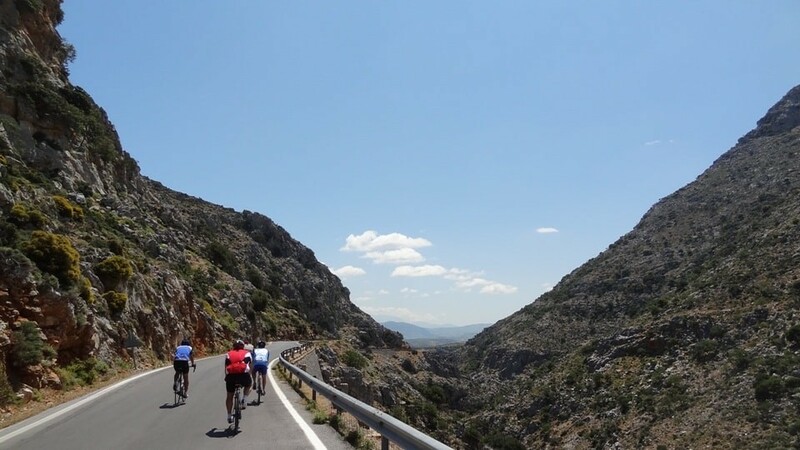 The first time we did this great climb, a warm day of May with clear blue sky and view up to Santorini, the few passing tourists inside the comfort of their air-conditioned rented cars encouraged us and we felt that we participated in one of the great climbs of Tour de France. 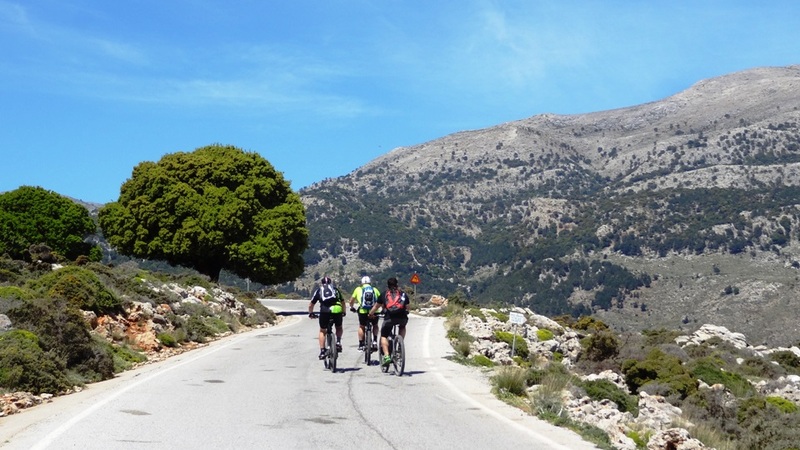 This climb from Kritsa to Katharo plateau is the greatest asphalt climb of Lasithi area and one of the most beautiful in Crete. 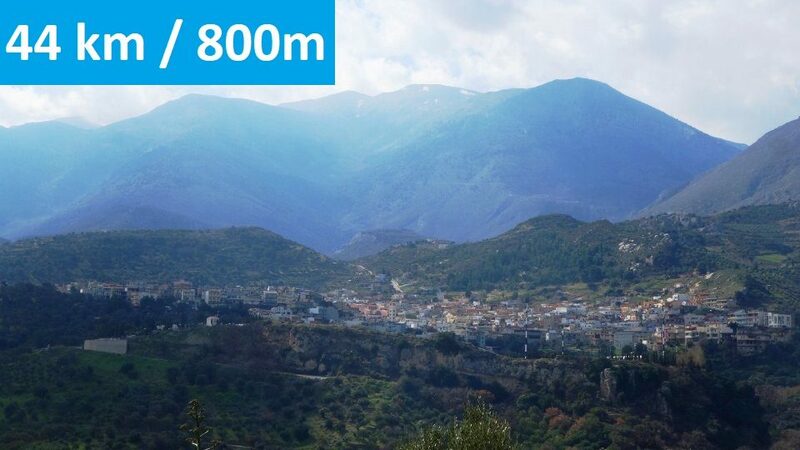 The view of Kritsa from above the Gulf of Mirabello and the combination of the oak forest with the wild rocky landscape is fascinating. The climb sometimes is easy and we can gaze the scenery and sometimes is steep to exhaust our forces. The road is excellent with medium slopes and most important without traffic. The road 1.5 km after Kritsa, at the mountain zone where goats climb on the trees like birds, and for 1.5 km is concrete but is very good. 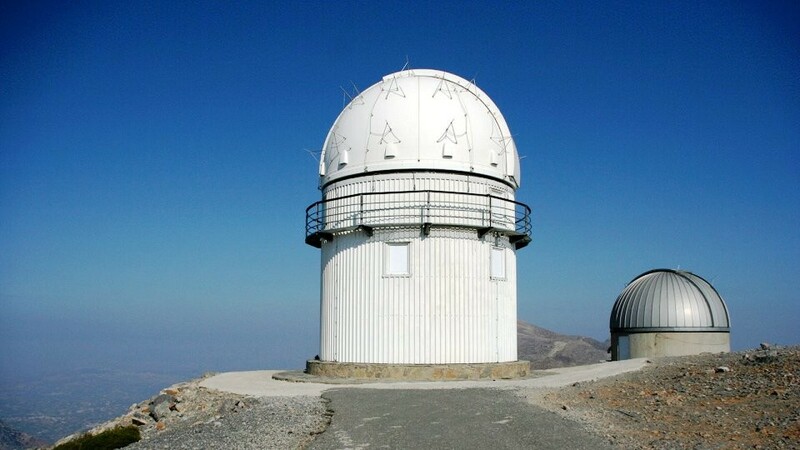 After you reach the top you can descend into Katharo to drink coffee at one of the taverns that are open from spring to autumn. Otherwise when you return back to Kritsa, one of the most beautiful villages of Crete, you must drink a coffee at the paved road under the shadow of the big plane tree.